After penning and submitting an original play in her youth titled The Search for the Holy Pail, a product of her thirst for creative writing opportunities and her father’s frequent Monty Python references, stage manager and arts marketing consultant Jess Bergson was bit by the theatre bug — HARD. Today? She’s just finished her term on USITT’s board of directors as part of the Institute’s Board Mentorship Program. A year after sitting down with Jess at her first Conference, USITT 2017 in St. Louis, much has changed. She’s attended official board meetings with USITT’s leaders, a board retreat, two Conferences, and gained a plethora of knowledge that she applies to her career daily. A graduate of Carnegie Mellon University, Jess holds both a bachelors and MFA. Before attending college, an interest in playwriting and directing was at the forefront with a taste of stage management developing later on with the help of her mentors and teachers. Though stage management stuck and became Jess’ major, her true calling soon took over. “During my college years at Carnegie Mellon’s School of Drama, I developed a passion for all things management in the arts, so I ultimately decided to extend my stay at CMU to earn a Master’s in Arts Management,” Jess said. Cue the Board Mentorship Program. After seeing her professors and classmates return from USITT with that post-Conference glow every year, Jess was intrigued and eventually got wind of the Board Mentorship Program. The Board Mentorship Program aims to introduce its mentees to the structure, functionality, and responsibility that comes with being a board member. Mentees are held to the same expectations and standards as other board members and are labeled as a full non-voting member. They sit on at least one committee and attend all functions the board is expected to attend. Being a mentorship program, the year-long journey excels at fostering connections between mentees and various board members, some of whom have filtered through the program themselves. Gaining mentors and career influences are just part of what mentees receive by participating in the mentorship opportunity. 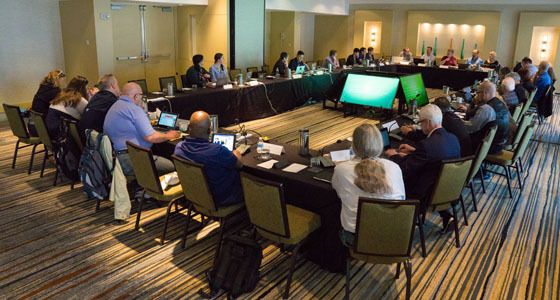 Access to board information, participation in three electronic board meetings and two face-to-face meetings, travel and accommodations to USITT19 and USITT20, and travel and accommodations to the Annual Board Retreat in August 2019 are all on the list of board mentee perks. Not to mention rubbing elbows with luminaries and those closest with the behind-the-scenes view of the Institute. For the incoming board mentee? Jess’ advice is to show up with an open mind, speak up when you have something to add to the conversation, don’t be afraid to ask questions, bring a notebook, a pen, business cards, and a sweater, and most importantly, you get out of it what you put into it. The Board Mentorship Program is now accepting applications for its 2019-2020 cycle. 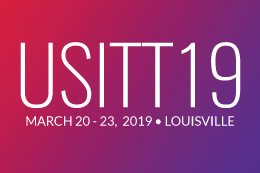 If you’re interested in picking the brains of USITT’s leaders and sharing your insightful thoughts at board meetings, retreats, Conferences, and with the membership as a whole, you can find more information about this opportunity here.